Switching back and forth between locations – this view was too nice not to make a photo of it. 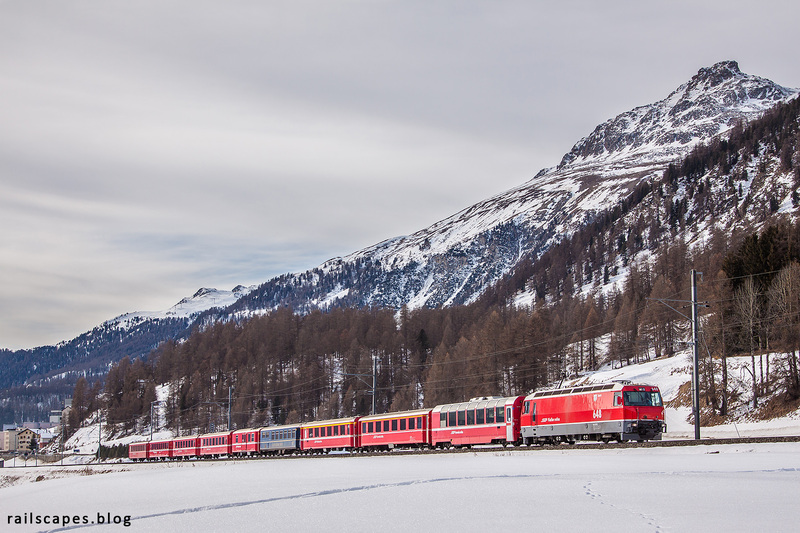 Most of the Ge 4/4 III engines carry promotional liveries – consider this red one a lucky catch. Notice the blue Gourmino restaurant car in the middle of the train.